This is a perfect clean To Do Task Manager UI Kit. It comes with an beauty crafted to-do list interface, with nice details and textures. It’s covers all common to do task apps possible workflow scenarios to start your own mobile To Do Task App from scratch. This UI kit contains 29 screens app template (PSD and Sketch File) of high quality. If you need to modify the theme you can easily change the colors and change the single elements. Only vector shapes and layer styles are used. You can use same file for iPhone and Android app design. 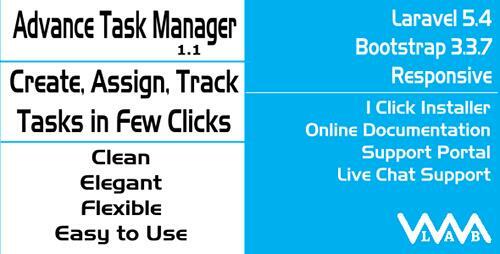 CodeCanyon - Laravel Advance Task Manager v1.0 - 19179179 DEMO An efficient way to assign & manage task of your staff.